Napoleon’s only legitimate child, Napoleon François Charles Joseph Bonaparte, also known as the King of Rome, Napoleon II, or the Duke of Reichstadt, died of tuberculosis at Schönbrunn Palace in Vienna on July 22, 1832. He was only 21 years old. You can read my articles about his perilous birth and his sad life. What follows is an account of Napoleon’s son’s death. The Duke of Reichstadt, who appears as the boy Franz in Napoleon in America, was brought up in the court of his maternal grandfather, Emperor Francis I of Austria. Although Franz had been a healthy child, when he was 16 years old those around him noted that his chest did not seem to be developing at the same rate as the rest of his body. His doctor, a celebrated Viennese physician named Staudenheim, diagnosed a “scrofulous tendency.” (1) Dr. Staudenheim said the boy should not go out in wet or windy weather, and should avoid vigorous exercise. After Staudenheim’s death in May 1830, Dr. Johann Malfatti – who had treated Beethoven, among others – became the Duke of Reichstadt’s physician. Though Malfatti suspected consumption (tuberculosis), he thought there was less danger from the boy’s lungs than from his liver. He ordered a strengthening diet of milk and seltzer water and prescribed a course of baths. He also cautioned against extremes of heat and cold, and anything that might produce great excitement. The Duke of Reichstadt hated these restrictions. He desperately wanted to be a soldier. In August 1828, his grandfather had made him a captain in the Imperial Light Infantry. During the summer of 1829, Franz had taken part in manoeuvres, but was not considered ready for active military service on account of his health. Now he continued to ride, despite attempts to stop him. In July 1830 he was promoted to the rank of major. In November 1830 he became a lieutenant colonel. In June 1831, the Duke of Reichstadt was finally given command of a battalion of 200 men of the 60th Imperial Regiment of Infantry. Malfatti, visiting the barracks, often found Franz in a state of exhaustion. His voice would give out when he was shouting commands to his men. Franz resisted the doctor’s orders to rest. At the beginning of August, however, he was struck with a fever and an inflammation of the mucous membrane. Malfatti succeeded in having the patient confined. Two months of rest reestablished Franz’s strength, but the improvement in health did not last long. 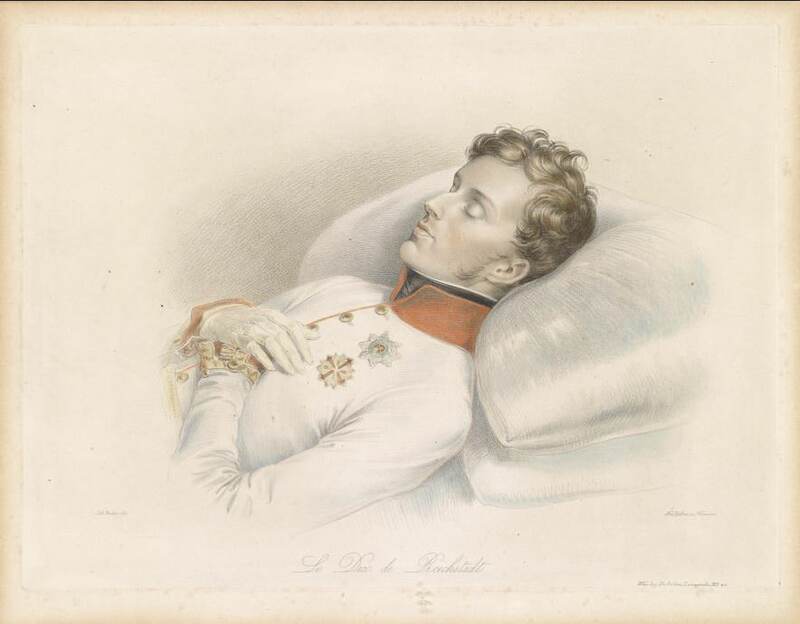 In January 1832 the Duke of Reichstadt came down with another fever. He was sent back to the Hofburg Palace to recover. The Duke of Reichstadt was allowed to take the air in a carriage or on horseback, in moderation. In mid-April 1832, he went for a long morning ride in cold, damp weather, and then in the evening went to the Prater. A wheel of his carriage gave way, so he started home on foot. Unfortunately, his strength failed him and he fell in the street. The next day he came down with pneumonia. Malfatti – returning to his duties after a five-week attack of gout – was struck by the rapid decline of his patient. The sickness was primarily in the chest, although the digestive functions were also affected. Franz had also gradually lost hearing in his left ear. Hoping to cheer his grandson, Francis I made him a colonel of the 60th Imperial Regiment of Infantry. Franz was so weak that he couldn’t write to thank his grandfather, who was away from Vienna. On May 22, the Duke of Reichstadt was moved to Schönbrunn for the fresh air. He was given the suite of rooms that Napoleon had stayed in when he occupied Vienna in 1809. Marie Louise could see there was no hope for her son. Marie Louise visited Franz occasionally during the day. Baron Moll attended to all of his personal needs. Moll read aloud from Les Rebelles sous Charles V by Charles-Victor Prévot to distract the patient. At midnight, Moll retired to the next room for a few hours of rest. The Duke was left alone with his valet, Lambert. Moll thought the crisis would pass, so he delayed sending for Marie Louise, who was asleep. The grief-stricken members of the court, palace staff, and others crowded into the Duke of Reichstadt’s room to look at his body. They cut off almost all of his hair and carried away whatever other souvenirs they could find. During the post-mortem exam the next day, the six doctors present found that while the left lung was only slightly affected, the right one was almost completely destroyed by tuberculosis. The funeral was held on July 24. The Duke of Reichstadt was buried in Vienna with full military honours. One of Franz’s tutors, Jean-Baptiste Foresti, wrote to Maurice Dietrechstein, the boy’s governor, a few days later. In 1940, the remains of the Duke of Reichstadt were transferred to Paris, a gift to France from Adolf Hitler. They rested for a while beside those of Napoleon in Les Invalides, before being moved to the lower church. The Duke of Reichstadt’s heart and intestines stayed in Vienna, where they reside respectively in urns at the Habsburg Heart Crypt (Hofburg Palace) and the Ducal Crypt (St. Stephen’s Cathedral). Edward de Wertheimer, The Duke of Reichstadt (London, 1906), p. “Children possessing what is called the scrofulous constitution are usually of small frame, with pale and delicate skin; the muscles imperfectly developed, the flesh being soft and flaccid. The edges of the eye lids are much disposed to become inflamed, and when the scrofulous tendency is strongly developed, the tarsi (under the edge of the eye lids) ‘are constantly red and tender.’ The digestive powers are feeble, the appetite variable, and the bowels seldom in a healthy condition. The patient is very sensitive to cold, and the temper generally irritable.” J.W. Comfort, The Practice of Medicine on Thomsonian Principles, Sixth Edition, (Philadelphia, 1859), p. 310. Wertheimer, The Duke of Reichstadt, p. 413. I am preparing all my Napoleonic notes for this semester’s lectures. But somehow the King of Rome’s short life and miserable death rarely gets much of a look in. I assumed that was because Napoleon Bonaparte had disappeared out of his son’s life 20 years earlier. How wrong was I. You have found a ton of information. Thanks. Thanks, Hels. I’m glad you’re finding these posts useful. Though Napoleon’s son is one of history’s minor footnotes, his sad story continues to fascinate people. I would like to state that there is a huge amount of documentation on Napoleon’s son, mainly in French and German. Obviously, he is well remembered in Austria and France, the two countries in which he lived. Primary sources are kept in the state archives in Vienna and are accessible to researchers. A very famous book was written by the French journalist-Historian Andre Castelot on the occasion of the 150th birthday of Napoleon’s son and was also translated into English. A lot has also been written in English about his tragic life, some of it being translations from French originals. And a lot of French books on the subject were translations from German originals. Thanks, Irene. There are many wonderful sources. I wish I could read German! Interesting and poignant. Thank you! I am curious whether there were any letters (or communication through a third party) between Napoleon and his son in the 1815-1821 period. What was said to the boy about his father … by his mother? .. by his maternal grandparents? Are there historical documents about it? or indirect indications? Thanks, Franco. There was no correspondence between Napoleon and his son between 1815 (when Napoleon was exiled to St. Helena) and 1821 (when Napoleon died). Napoleon knew his correspondence would be opened and censored. The King of Rome’s French nurse was the mother of Napoleon’s valet Marchand. Before she was dismissed in 1816, she managed to smuggle out some locks of the boy’s hair and send them to St. Helena for Napoleon. 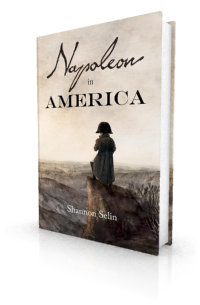 As for what Marie Louise and her family said to the boy — he was brought up not to hate his father, but to think of Napoleon as a soldier of fortune who had ravaged Europe and brought ruin to his country. What about Napoleon’s son with Maria Waleska? Was he also somewhat fragile? Is there any hint of a conspiracy against Napoleon II? Thanks for a sad but interesting piece. Thanks, Joseph. I wrote a separate article about Napoleon’s illegitimate children, including Alexandre Colonna Walewski, who lived to age 58: http://shannonselin.com/2015/03/napoleons-children-part-2/. There is some evidence of plots against Napoleon II. Francis I was worried that his grandson would either be kidnapped by Bonapartists, or assassinated by French Royalists. For this reason, he had the boy closely guarded and did not allow him much independence. On a few occasions people were arrested on the suspicion that they were planning to abduct the Duke of Reichstadt. Thanks Shannon. Your posts always inspire me to continue on. Your work on the King of Rome is wonderful, Jean. Keep at it! Thank you for sharing this. I love learning new things when it comes to history. Thanks, Hunter. I’m glad you liked it. Thanks for this. I didn’t know about this. Fascinating! Thank you, this is fascinating reading. I was lucky enough to see the exhibition dedicated to the two princes – the Duke of Reichstadt and the Prince Imperial, Louis Napoleon, in Compiegne some years back. Please see http://www.princeimperial.co.za which is résumé – not quite up to date – of our actions here in KwaZulu-Natal, South Africa for a cultural tourism research development project for communities’ benefits. That must have been a wonderful exhibition, Glenn. I found this article about it. 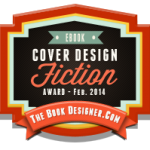 Thanks for the link to La Route du Prince Impérial project. What a great idea! The Prince’s condition is in keeping with his malady. His weakness increases in proportion as his illness progresses, and I see no possibility of saving him.